Can you tell that the posts here are becoming more and more sporadic? It’s tough to get back into the swing of things… And so easy to bypass meditation for all the other “more important” things. Nevertheless I keep trying and I keep doing my best to stay motivated. It can be a struggle!! 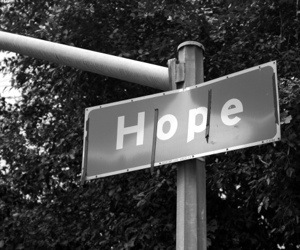 Today’s meditation, in one word: hope. It was tough but I can see where I’m improving and it’s looking ever so much more hopeful!